What is the defining issue in our elections, including the elections of 2016? We essentially have two opposing causes: those who would further increase the power of the state and those who would only use the power of government to protect individual rights. Who is winning? Since the power of the state has grown hugely over the last century, we must conclude that the Statists are winning. We know people who call themselves Conservatives and Tea Party activists, people who say they favor constitutional, limited government. When we apply these labels, do we always use the expressions Conservative and Tea Party activists correctly? No, but the expressions do mean something, and there are plenty of people who identify as Conservatives and Tea Party activists, but who calls himself a Statist? Almost no one. Nevertheless, large numbers of people call for government-run this, government-run that, and government-run everything else. Such people often call themselves Progressives, Liberals, or Socialists, and they argue that at least some aspects of government must be socialist in character. Hence Progressives, Liberals, and Socialists and their sympathizers advocate Socialism. Here is an example of how those “Socialists” excuse their advocacy of big government. They abuse the definitions of the terms. Statism: the principle or policy of concentrating extensive economic, political, and related controls in the state at the cost of individual liberty. Therefore, Socialists object to being labelled as Statists because Socialism is only an economic model, not both a political and an economic model. Yet that is as dishonest as saying one is only a little bit pregnant. Both Statism and Socialism employ the same fundamental principle, that the state must define and provide for the rights of the individual. Conservatives hold God gives us our rights, and these are rights that relate to body and soul. Because God created us and we belong to Him, we owe Him our service. Our obligations are to Him, and He has given each of us the choice of serving willingly. 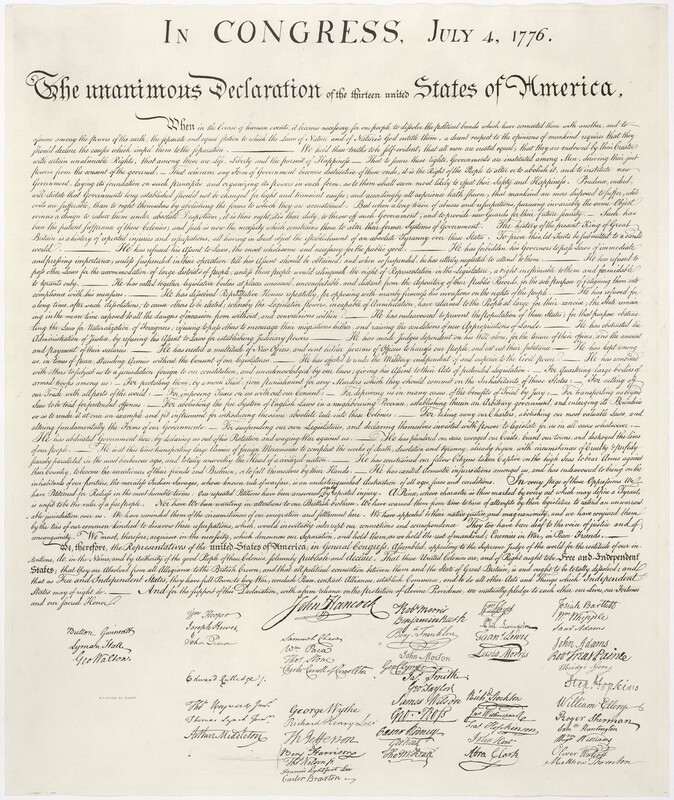 Hence we each have God-given Rights to Life, Liberty, and the Pursuit of Happiness (Declaration of Independence). Statists, however, view rights as commodities, merely things given to us by the state. This, of course, is a materialistic and secular view of rights that leaves God out. Once we do that (leave God out), we start seeing each other as objects, and we start enslaving each other. Even Atheists can see the difficulties of Statism. Ayn Rand is famous for her books advocating individual rights, including her definition of statism. Rand blamed this sort of “altruism” on Christianity, but the Bible never speaks of involuntary, state sponsored altruism. Besides, Statism does not require altruism as an excuse. That propaganda is just peculiar to Communism and Socialism. The Nazis did not spend much effort faking altruism. Nevertheless, both Theists and Non-theists reach the same conclusion. Whether we recognize our rights as coming from God or not, when we use the government to give people their “rights” (commodities such as food, clothing, shelter, transportation, an education, a job, and so forth), we must sacrifice the inherent rights of the individual to do so, and that adds up to Statism. Ideally, I suppose I would have come up with this series and happily used it to promote a specific candidate. Well, I am not entirely happy with any of the candidates. The only one I regard as coming close to being a true Constitutional Conservative is Ted Cruz. Unfortunately, I am not entirely certain the founders would have regarded him as a natural born citizen. I think Cruz believes he qualifies (see here). How would the courts would decide? Because they would gag on the primary rationale for denying him his rights as a natural born citizen the courts almost certainly would regard him as one (Natural Born Citizen and Naturalized Citizen Explained). So I chuckled at the unpleasant irony and voted for him in the Virginia Presidential Primary. Because, we have a dearth of honest Conservatives willing to run for public office — because no man is good — we have hard choices. We must choose between the least of evils. We cannot simply do nothing. How Well Does Statism Work? Well, the political party I would like to see is the one that let each person decide for themselves what is best for the common good. You have emphasized the need for peace and the fact politicians don’t strive for it. One reason our leaders don’t work for peace is that they are too busy working for the “common good.” That is, instead of allowing our neighbors to decide for themselves what is best for them, we each try to impose what is best for the “common good” upon each other. Peace requires humility to remember we each belong to God, not each other. Each of us is entitled serve our Creator as we deem best. So I guess I would like to belong to the Humble Party. Of course, if it called itself humble, the people in it would probably not be too humble. i would like to belong to the Common Sense Party. In my opinion, we have a desperate need for this attribute in both political parities. But each of the current factions believes that their faction is the one possessed of common sense, and that opponents are foolish. Some are evil, of course, but most are simply amazed that others could reach different conclusions. For example, look at the difference you and I have on trade. Neither of us is unintelligent, yet our life experiences and our common sense has led us to opposing opinions as to what is appropriate to do regarding that topic. Read my final post tomorrow on fair trade. Then lets see what happens. Since I am 75 years old, it won’t matter much to me, but at least I will have the satisfaction of trying my best to ward off hyperinflation which in my opinion is going to be a certainty in the future. As Keith observes we each have our own definition of commonsense. That is why the founders decided to limit the power of the government. I have brothers and sisters who think my politics deranged. I just think them very poorly educated. Until we read some of the things the founders read and wrote, we don’t appreciate their wisdom. Consider your blog, your focus on biblical wisdom. Why do you want people to read what Solomon wrote? Can you force people read the Bible? Do you have the right? Does the government have the right? Yet if we don’t limit the power of the government, people will presume to force their own version of commonsense upon other people. Good post Tom. While I agree that God gives us inalienable rights. there are unbelievers who feel the same way but call them “natural rights.” It’s the same thing really, but it’s worth mentioning that you can be a non believer and still hold conservative views on protected rights. What to do now though about the mess we are in? Trump, Clinton and Sanders are all statists, with Sanders of course claiming the extra special socialist label. I have no problem voting for Cruz but am seriously considering not voting for president should Trump get the nomination. Both he and Clinton would be disastrous, but at least under Clinton there is a chance of a Republican getting elected 4 years later. After the economy implodes under Trump, both he and the conservative Republican cause whose banner he claims to fall under will suffer irreparable damage. If Trump gets the nomination, I believe Conservatives will have to ban together and form a third party. The Republican Party is just too broken to fix. Why would Trump get the nomination? We have an open primary system. That system allows Democrats to vote in Republican primaries, and it also allows someone with just a plurality of the vote to win the nomination. That is a stupid system the politicians foisted on us to serve their own purposes. Trump has outFOXed them. With the help of lots of free news media coverage, and he is using it for his purposes. Trump is deeply unpopular with lots of Republicans, but those Republicans have yet to unite in a coalition behind one candidate. Therefore, Trump could be the Party’s candidate even though the party does not want him, and most of rank and file would have voted for any of other candidates in a one-on-one race. Would Trump be just as bad as Clinton? I don’t think so, but that is something you will have to do decide for yourself. Just keep in mind that not voting is a choice to leave the decision to others who may be less ethical. If you don’t vote, your family, your friends, and your neighbors may have to put up with a worse choice than you might have made. Only true in some states, 18 on the Republican side. In the others you must be a registered Republican to vote in the presidential primary. California is all over the map, open in some races, closed for the presidential delegates. And it’s voluntary per party and currently open for Democrats and American Independents but closed for (and by) Republicans. In 2008, Mitt Romney won the Republican votes in the early primaries, but John McCain won the nomination because Democrats voted for him. For a variety of reasons including open primaries, voter participation has fallen way off. The Tea Party reversed this to an extent more recently. and it also allows someone with just a plurality of the vote to win the nomination. That is a stupid system the politicians foisted on us to serve their own purposes. What you describe is possible, but not the guaranteed way it works, and that is especially an issue for Donald Trump this year. Trump may win a plurality of votes, but it must be a majority to secure the nomination on first ballot. Otherwise, anyone who has won eight states (this will be likely Cruz, and very unlikely Rubio) can be eligible to win on subsequent ballots. And if that doesn’t work, a motion to “suspend the rules” (as per Rule 40 of the Republican Convention in the link below) means that they can drop the eight states requirement and try over and over again with anyone until someone gets a majority of delegates. Thus, Trump could get, say, 48% of the required delegates, Cruz 40%, Rubio 8% and Kasich 4%, and the nomination could go to Mitt Romney or whichever other dark horse candidate the Republican establishment puts up after a “suspend the rules” vote. This would also greatly harm or destroy the Republican Party, but the establishment’s actions have already long since started down this path. And a third party run by Trump or even Cruz would be likely, all of which makes electing a felon or Marxist nearly certain, with associated great harm to the country. Note that the %20 in that link may need to be replaced by simple spaces, depending upon your browser or file system. You wrote a good article here => http://www.dehavelle.com/2016/03/brokered-or-broken/. Thanks for the link, the references, the history lesson, and the explanation. I will be going to Virginia’s 1st Congressional District Republican Party Convention in May. Because of establishment shenanigans and the possibility of a brokered convention, there is a bit more interest in these conventions than is usual. I know at least one person who is running to represent our district to the national convention just to check the establishment, and I am sure there are many others. One of Cruz’s representatives in Virginia sent out an email asking Cruz supporters to run to be delegates to the national convention. With respect to a candidate winning with just a plurality of the vote, I think some clarification is in order. I was referring to a plurality of the primary vote, not the vote at the convention. Each state has its own rules for awarding its portion of the vote. That includes a fair number of states that are winner take all. What some states have tried to do is increase their influence at the national convention by giving the candidate who wins the primary vote the lion’s share of their vote at the national convention. Anyway, I don’t like the primary system. It is too complicated and messy. I think we should do away with the government’s involvement in the political parties. It has not been helpful. BTW. Before you write off Trump, make certain you compare his and Clinton’s websites. Trump may be a statist, but he at least may have the virtue of being a pro-American statist. That’s a good point Tom,except there’s nothing about Trump that I take seriously, even his pro America stances. Both he and Hillary are opportunists and will do/say whatever it takes to promote their own cause. The question is who will be worse. What’s really sad is what this all says about the electorate. A strong chunk of America is really ok with an authoritarian leader and I”m not sure much can be done about this. Most of human history the majority of people were slaves and the rest were subject to the command of some patron. Because its founders believed in God-given rights, America was an exception. I see that as a small bit of proof Jesus is God. Now that most Americans do not take the Bible seriously, we are losing our constitutional republic. Christians should not find that surprising. We need to spread the Gospel and bring folks to Jesus. That other problem, losing our constitutional republic, is incidental to the fact folks don’t know Jesus. Conservatives hold God gives us our rights, and these are rights that relate to body and soul. Especially from a writer who’s been involved in many discussions on the philosophy of natural rights. l suppose so. Christian Conservatives would have been more appropriate. I just had a conversation about this in another mode. We, as Followers, are “other-determining” rather than “self-determining”. We are truly free, but we submit to the mediation of Christ in all relationships. Thanks for your insightful and detailed post. You always add depth to my reading!